If you have noticed that your home’s windows are not working as well as they should be, then it may be time to start thinking of purchasing replacement windows. To do this, however, you do want to have as much information about the process and your options as possible. It is especially important to know what mistakes people make when choosing their replacements. Experts on window replacements in San Jose, CA can tell you about the most common mistakes to avoid. It is very common to try and get your windows replaced as quickly as possible. This can be a mistake. You never want to rush into any repairs or renovations, since that can mean ending up with a job that is not well done or one that cost much more than it should have. The first thing you need to do is to compare rates from different companies and be sure that the ones you are considering have the kind of experience you need. By taking your time and reading up on the different companies, you will save yourself stress and money. Not asking questions is another mistake that you need to avoid. The process of installing replacement windows can be complex, and you want to ensure you have all of the answers you need. When you are choosing the windows themselves you want to ask about their function, durability, and much more. Do not be afraid to ask as much as you have to. It is the only way you will know if they are the right option for your home. Many people find themselves choosing a particular kind of replacement window based on price. Price always comes into the equation, of course, but it should not be the sole consideration. Sometimes, the least expensive options can be flimsy or might not provide everything you are looking for. You want replacement windows that will last a long time and that will provide insulation, so look for more than just prices. If you have to replace all of your home’s windows, why not consider choosing a new style? 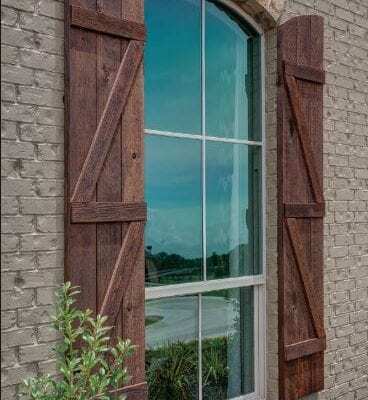 Many people make the mistake of sticking to whatever kind of windows they previously had, but this is your opportunity to choose something different. You can easily do so with some guidance from experts. They can tell you what styles fit your home and your budget best. By knowing about these mistakes, you can avoid them and save yourself a lot of potential trouble. You will want to compare rates and service options so that you can find exactly what you need. When choosing San Jose, CA window replacement companies, you will want to ask questions and also ask for their advice on the kind of windows you need. By reaching out to a company like My Window & Door Solutions, you can find the options you want for your home. Schedule an appointment at their location in 1510 Oakland Rd., Suite 130 San Jose, CA 95112 or give them a call right now at (408) 437-6274 to speak with an expert.